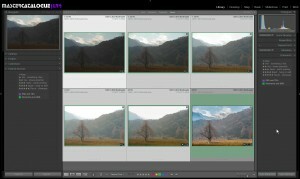 There’s an interesting new feature in Lightroom 4.1 Release Candidate 2 – the ability to adjust 32 bit HDR images in Lightroom. I confess I’m not that big a fan of HDR and I don’t play with it often, but this picture is a good example of when I might use it. The component frames were taken last month in the Lake District near “our” village, Rosthwaite. 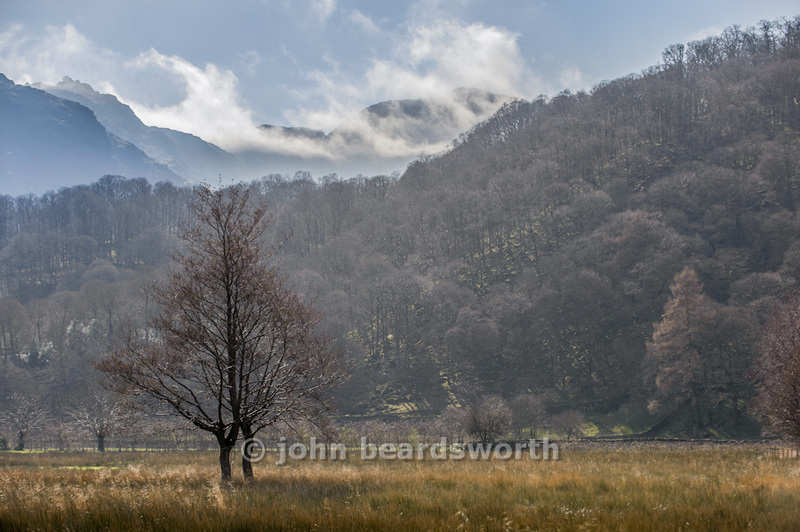 These have been my favourite trees since I came across them early on a misty Christmas morning 5 years ago and on my recent visit, as you can see, there was a huge contrast range and the clouds were extraordinarily bright. It was an obvious HDR scene. I do these because there’s always a risk that during the culling phase of my workflow I’ll mistakenly decide that a frame is badly-exposed or badly-composed, so the green reminds me that it is intended to be part of an HDR or panorama. But until today I didn’t do anything else with the pictures – I don’t want to have folk thinking I’m getting into HDR! So, what’s the new Lightroom workflow? Choose the menu command Edit In > Merge to HDR Pro in Photoshop. As well as overall and local white balance, I changed some Basic panel values and produced the final picture below. It does make me wonder. I did so little to this picture in Photoshop other than run the HDR Pro dialog, so how far are we away from doing the HDR process entirely within Lightroom…. 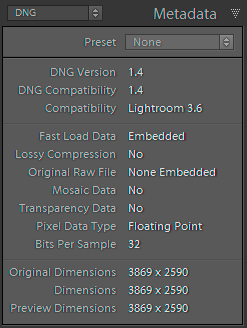 Why you would do this is less clear to me, because you would lose the flexibility to process it as a 32-bit image in Photoshop (DNG means it would be sent to Photoshop as 16 bit). But for a long time I’ve done something similar with JPEGs from a point and shoot camera and from my iPad. Converting these files to DNG distinguishes the original photos from derivative JPEGs which I might have generated for email, web etc. So packaging these HDR-merged TIF files as DNGs would also mark them out as pseudo-originals, and would also permit Lightroom to update their embedded previews. I’d like to continue this thread. Shall I email directly? Creating tiffs, leaves RAW in PV2012 DNG. The tiffs become derivatives. CS5 plays with the derivatives, but these were PV2012 creations – so the best there is currently! !The tonal range etc will not be lost – but the HDR tone mapping in LR4 when re-imported will now be on tiffs – not so good. CS6 has a use then. ugh. one off or monthly? ugh again. Up to you, Chris, happy to say more or less anything here. Did you see this and the linked articles? So are you asking whether to subscribe to Photoshop or upgrade? If you can upgrade, it looks like upgrading is cheaper than subscribing. First time purchasers would have a cashflow advantage from subscribing, but pay the same over the long run. On the other hand, stop paying the monthly fee and it’s goodbye Photoshop. This is one of only three reasons I still use PS. I’m on LR 4.1, but PS 5. 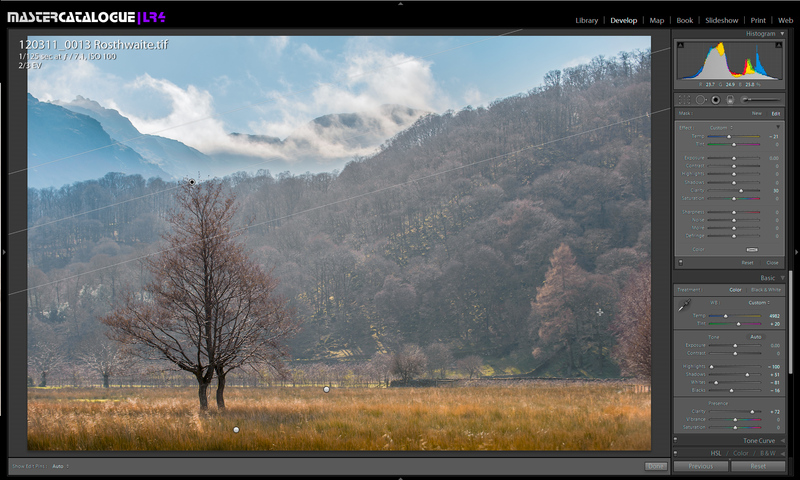 If I do all my tonal, colour & crop corrections in LR, then send to CS5 I’m not loosing anything am I? I don’t need the newer ACR tools as I have them already. Correct? I can’t see anything in CS6 to make me want to buy it. For this HDR, Edit > Merge to HDR in Photoshop would do the raw conversion in PS CS5 and ACR6, using PV2010. If you wanted to apply PV2012 adjustment to the component frames before merging, then you’d have to export them as TIF files, then launch Merge to HDR inside PS CS5. Hard to believe there’s much difference with HDR though. With panorama stitching, I think there would be.